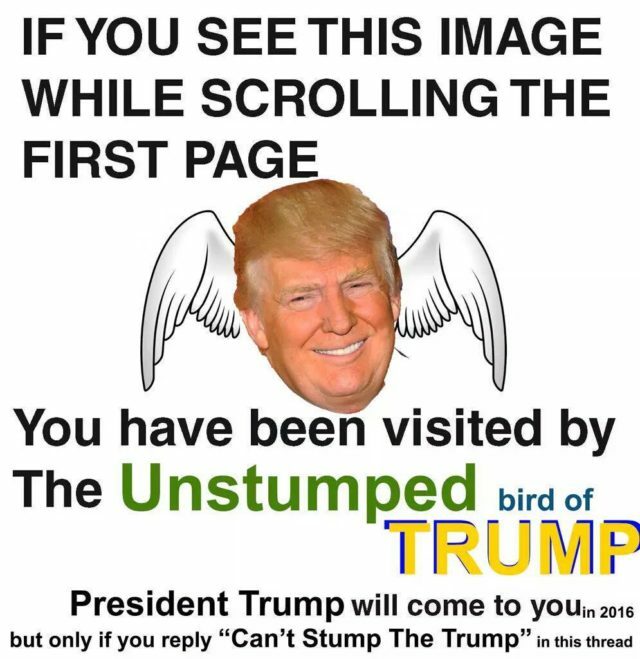 “Can’t Stump the Trump” is an amateur YouTube channel where an anonymous college student mashed up news clips with 4chan memes to cheer on president-elect Donald Trump, starting in the Republican primary — while simultaneously documenting his insane, against-all-odds political ascent from an Alt Right perspective. It’s crudely assembled, it’s vulgar, and it’s become an online campaign tradition as infamous as Matt Drudge’s debate polls. Several other running jokes include air horns blaring after every Trump putdown or unfortunate event for his opponents, a video game sprite animation delivering a “kill shot” on defeated foes, and overlaying the faces of political players on meme-friendly movie clips such as Star Wars: Episode III’s climactic lightsaber fight.